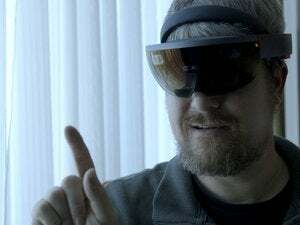 Microsoft’s HoloLens promises to merge the real and virtual worlds in ways that haven’t been possible before, and on Thursday morning, the company demonstrated one way the gadget could transform the way we buy cars and just about any other major product. The demonstration, which you can watch above, used a Caterpillar earth mover, but it’s not difficult to see how this could be expanded to cars, houses, furniture, or a host of other goods. It begins with a sales pamphlet—the kind of thing you might pick up when shopping for a product. 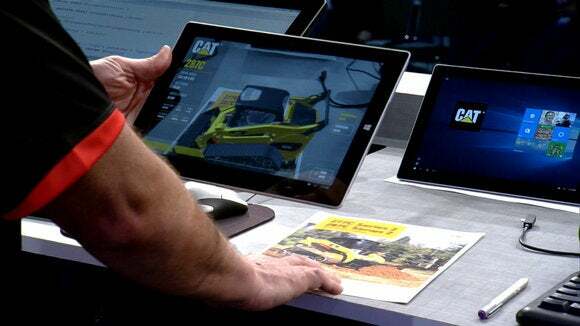 With a tablet PC pointed at the pamphlet, a 3D model of the machine sprang to life on screen, but the experience gets much cooler with HoloLens. Upon a click of the fingers, the 3D model appeared to jump off the page and onto the keynote floor, appearing in full size. 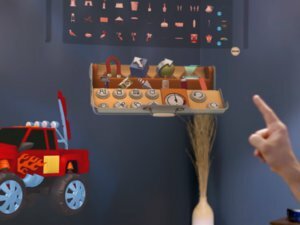 Anyone wearing a HoloLens—and in the video you can view the experience—can see walk around the earth mover and check out its components. 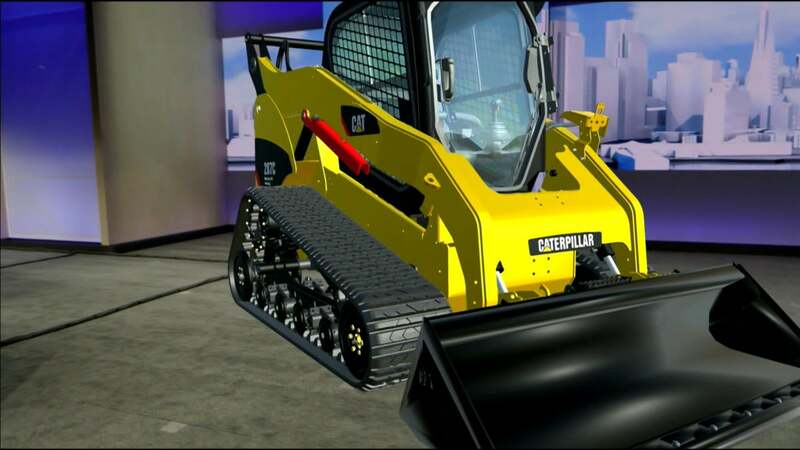 Because it’s virtual, potential buyers can test out customizations and even look inside just by taking the somewhat unintuitive step of walking inside of the model. 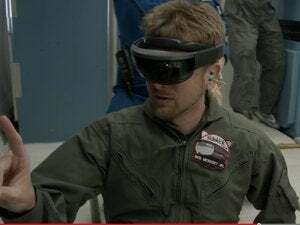 Thursday’s event was one of several glimpses Microsoft provided this week into the possibilities of HoloLens. On Wednesday, it showed off a virtual holographic desk — a physical desk with space for holographic images.